The Cyberbullying section at Digizen provides a vast expanse of resources for dealing with Cyberbullying at your school. The NEN E-Safeguarding Tool is an online application that can help senior managers to ensure that ICT is used safely and responsibly and that risks related to ICT use are properly managed. An extensive list of useful resources for helping you with creating eSafety policies. This in-depth document provides an audit of current provision and the resources required to address any gaps in your schools eSafety provision, such as a nominated eSafety committee/coordinator, eSafety policies, rules, sanctions and response procedures. 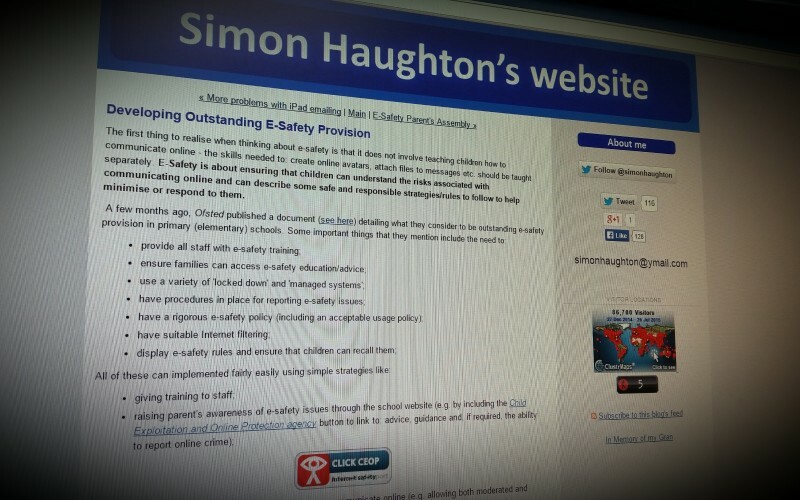 Simon Haughton looks at how, as a teacher, you can ensure your children can understand the risks associated with communicating online. The blog also looks at safe and responsible strategies for minimising risks and how to respond to them.